Guitar Hero: Metallica is a music rhythm game developed by Neversoft, published by Activision and distributed by RedOctane. The game was released in North America on the PlayStation 3, Wii, and Xbox 360 on March 29, 2009 and on PlayStation 2 on April 14, 2009, with an Australian and European release in May 2009. 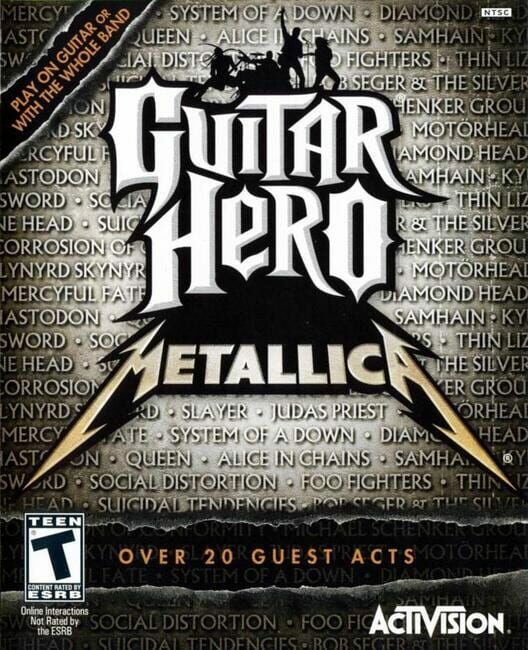 Guitar Hero: Metallica is the second game of the Guitar Hero series to focus on the career and songs of one band following Guitar Hero: Aerosmith. The game is based on Guitar Hero World Tour, with support for lead and bass guitar, drums, and vocals. The game has many of the same features from World Tour, including single-player and band Career modes, online competitive modes, and the ability to create and share songs through "GHTunes". In addition to the normal difficulty levels presented in Guitar Hero World Tour, Guitar Hero: Metallica provides an "Expert+" difficulty for drums that allows the use of a second bass drum pedal to match the drumming style of Metallica's Lars Ulrich. The game features 28 master recordings spanning Metallica's career and an additional 21 songs selected by members of Metallica. The band performed extensive motion capture for the game for their in-game avatars and performances. 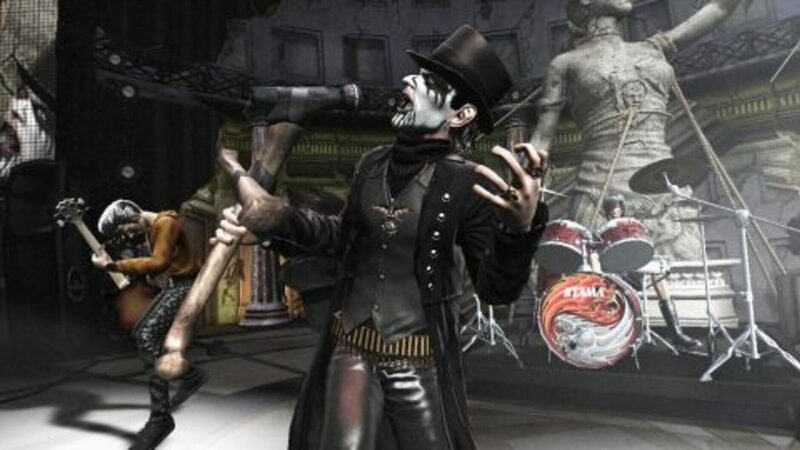 The game includes several extras including behind-the-scenes videos of the motion capture sessions, tour and concert videos of the band, and Pop-Up Video-like facts for many of the songs on the game disc. Guitar Hero: Metallica received positive reviews, with critics stating it to be a strong tribute to the band and Neversoft's best work on the Guitar Hero series to date. The difficulty throughout the game was praised, found to be more enjoyable to players of all skill levels than the more-difficult Guitar Hero III: Legends of Rock. Reviewers noted the lack of additional downloadable content, save for the pre-existing Death Magnetic songs, the cartoonish storyline for the Career mode, and the overall value of the game as some of the negatives to the experience.